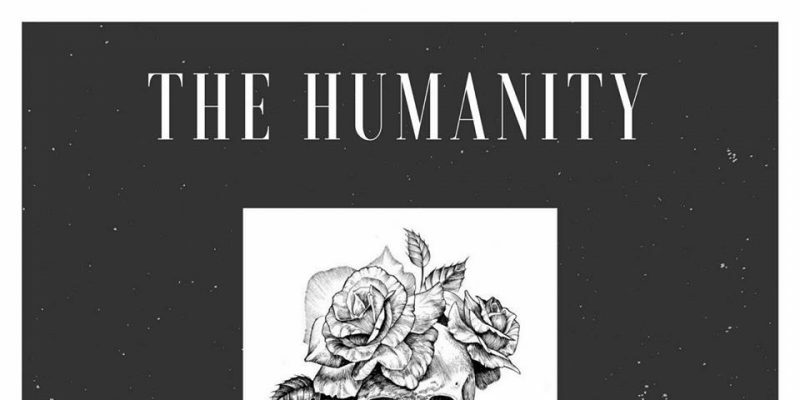 Gen Dietzel’s EP The Humanity directly and openly addresses the current political climate and issues affecting women in today’s world. The opening song Liberty starts things up in a bold way, holding nothing back, beginning with a simple rhythm and backdrop – upon which the leading artist’s voice and lyrics pour out with unquestionable anger and unwavering passion. This feeling of realness or how deeply these issues affect the performer grows intensely as the track progresses. Certain lines really stand out, those that refer to the supposed core values of the US, alongside of which this distorted energy rings quite poignantly. As the song progresses, Dietzel’s voice moves from a tired whisper of sorts to something much heavier and harder hitting. The song’s hook brings volume and consistently links back to this underlying concept of liberty and American rights. The rhythm of the vocal evolves throughout, and towards the latter half of the song the issues are presented in a notably more personal manner – the emotional presence seems more connected to the individual than a vague inclusion of everyone, which really opens things up in terms of connecting with the character behind the music. You start to see the effect of these issues on a smaller scale, which is where clearer pictures are often painted. Don’t Call Me Pretty follows and by now the Gen Dietzel sound is pretty familiar, recognisable. The bass-line and the general rhythm of this song has something distinctly indie-rock about it, the movement works well, the short and concise lines craft a simple story-line that immediately declares its purpose and its relevance to the artist – your interest is gained, so you feel inclined to follow the words along to see how it all turns out. The song itself touches on precisely the topic implied by its title. Dietzel pours further personality and realness into the mix, allowing listeners to get to know her a little better, as well as openly reaching out to connect with any and everyone who has shared a similar mindset at one time or another. The instrumental break down during the latter half of the song offers a welcomed moment of delicacy and melody that ensures the later return to intensity stands in stark contrast and again hits with weight. Mad Girl’s Love Song brings the project to a close, a simple piano-led chord progression drives the musicality along. The leading voice follows the same style of performance as utilised throughout the EP, though there’s again something even more personal and intimate touched upon. You can hear a different level of emotion in the performance here, and this reflects the story-line and its effect on the artist in a fairly raw and open manner. In some ways, the songs on this EP feel like freestyles – the way Gen Dietzel performs on top of these somewhat minimal soundscapes seems like an explosion of inner struggles that just needed to find a way out. There’s no denying the passion and difficulty that comes through at every moment. It also seems clear that honest feelings and thoughts have been the absolute building blocks of the collection. As you listen, you familiarize with these ongoing, gradually intensifying compositions, which rise up and up until the sound rings with extreme angst and volume – giving a consistent feeling of things getting colder and harder to handle, until there’s just no room to relax anymore. It certainly draws your focus back to the way the world works and the different issues that affect so many people. Check out the EP here. Find & follow Gen Dietzel on Facebook, Twitter & Instagram. Visit her Website for more information.